There are all kinds of pumpkin cheesecake recipes. Can you believe someone even started a National Pumpkin Cheesecake Day? During the fall of the year when all the pumpkins brighten the fields with their typical orange color, we are now celebrating this wonderful dessert along with other favorite pumpkin recipes. Pumpkins are typically American, especially important when celebrating our fall harvest time and Thanksgiving. This has been made one of our traditional foods back to the beginning of our country. Since cheesecake is one of the favorite desserts in most countries of the world, I want to share with all our readers our pumpkin cheesecake recipes. Because pumpkin cheesecake recipes are a creation in the United States all my recipes include cream cheese which is also typically American. 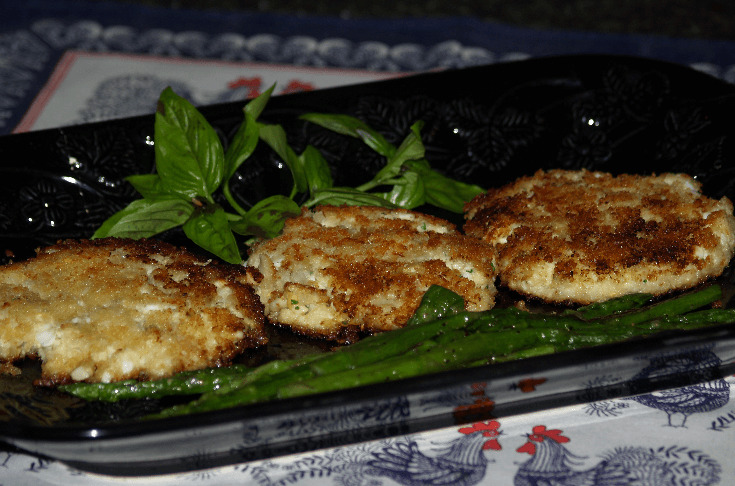 If you like you might try making them with ricotta or your favorite cheese. I haven’t tried these with ricotta but I do love that in many of the cheesecake recipes. If you are on a sugar free diet you might try making one with a sugar substitute; pumpkin is healthy in the diet. A few years ago, I needed to attend and take a recipe symbolizing the fall season to a carry-in dinner. I have always been very fond of the delicious flavor and the moist texture of pumpkin cake. With a cream cheese frosting, this is very delicious so I chose to take this to the dinner. Someone else brought two of her pumpkin cheesecake recipes. I had never made one before and I had never tasted one so I had to try it. How delicious! Again I had the pumpkin flavor combine with the rich creamy cheese only with a different texture. You must try it! 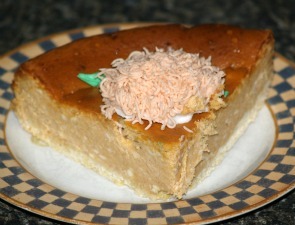 This is one of the pumpkin cheesecake recipes which offers a different flavor in the crust. It is made with flavorful gingersnap cookies and the hint of ginger in the smooth cream cheese filling enhances the delicious flavor of the pumpkin. Combine cookie crumbs and butter; press into bottom and up sides of greased 12 inch spring form pan. Beat cream cheese on medium until smooth; add 1 cup sugar, ginger and vanilla beating until creamy. Beat in 6 egg yolks; pour 2 cups of mixture into prepared crust and set aside. Add pumpkin pie mix and 2 eggs to remaining cream cheese mixture; blend well and set aside. Beat egg whites on high speed until foamy; gradually add remaining ¼ cup sugar beating to stiff peaks. Fold whites into pumpkin mixture and pour over cream cheese mixture in crust. 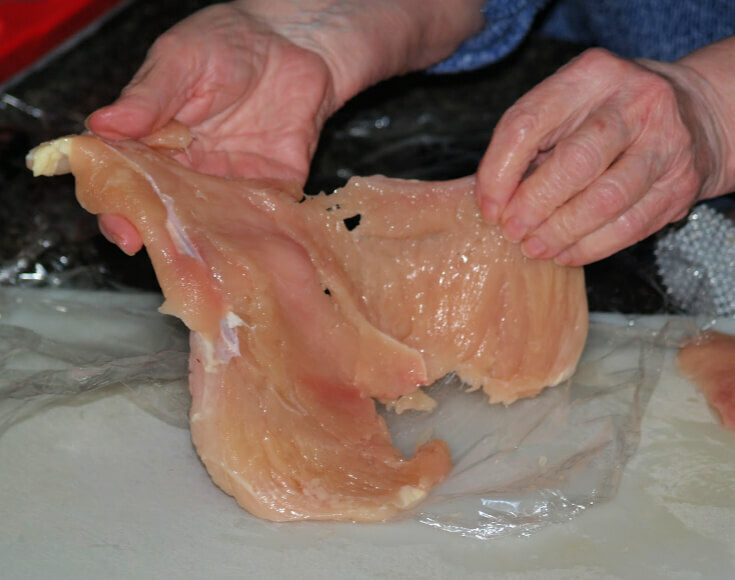 Bake for 1 ½ hours; turn oven off and gently run knife around edge of pan to release sides. Let cake stand in oven with door ajar for another 1 ½ hours; remove side of pan and refrigerate. When cake is cold beat whipping cream and powdered sugar on high speed of mixer to soft peaks. Spread whipped cream on cheesecake to serve. Many flavors can be added to pumpkin cheesecake recipes which will enhance the taste of the pumpkin as in this orange spice recipe. If you like fruity cheesecakes try one of my orange, lemon or pineapple cheesecakes. Mix crumbs with melted butter and 2 tablespoons orange rind. Press crumb mixture into bottom and sides of 9 inch spring form pan. Bake about 10 minutes until light brown; cool shell before filling. Reduce heat to 325F degrees. In mixing bowl combine pumpkin, 1 cup sugar , 3 egg yolks, cinnamon, ginger, salt, mace, cream and orange rind; set aside. Combine and mix ¾ cup sugar and cream cheese until fluffy. Add 2 egg yolks and 2 eggs one at a time mixing well after each. Blend in flour, vanilla and rum; fold pumpkin mixture into cream cheese mixture. Pour gently into the crust and bake at 325F degrees for 1 ½ hours or until tester comes out clean. Allow to cool and refrigerate until cold before serving. 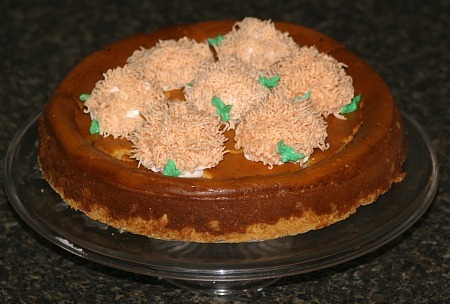 This is another of the pumpkin cheesecake recipes which using orange as a flavor with the pumpkin. The difference here is that it is combined also with cranberries in the topping. How delicious! Press dough on bottom and 1 ½ inches up sides of ungreased 9 inch spring form pan; set aside. Beat cream cheese and sugar in large bowl until light and fluffy; beat in eggs one at a time. Stir in orange peel, nutmeg, cinnamon and pumpkin until well blended. Pour mixture into pastry lined pan and spread evenly. Place pan in oven and IMMEDIATELY turn down oven temperature to 350F degrees. Bake for 35 minutes or until center is almost set; cool completely on wire rack. Spread whole cranberry sauce on top and arrange glazed orange slices on top. Refrigerate the pumpkin cheesecake recipe until cold and remove sides of pan before cutting. Combine 1 cup granulated sugar and ¼ cup water in medium size skillet. Bring to a boil over medium heat and boil 1 minute. Add 12 thin orange slices and cook over low heat turning frequently for about 5 minutes or until slices are almost translucent. Preheat oven to 350F degrees; grease 9 X 13 inch baking pan. Beat 1 cup flour, brown sugar, pumpkin, ½ cup butter, cinnamon, baking powder, ginger, soda, salt, cloves and 2 eggs in large bowl on medium until creamy. Stir in raisin and pecans. In small bowl combine cream cheese, 1/3 cup sugar, remaining butter, 2 tablespoons flour, vanilla and 2 eggs and beat until creamy. Pour half of pumpkin mixture into prepared pan; pour cream cheese mixture over the batter in pan. Spoon remaining batter over cream cheese mixture; run a knife through to make a marbled effect. Bake the pumpkin cheesecake recipe for 35 to 40 minutes or until top springs back when touched; cool and frost. Brown Butter Frosting; Heat 3 tablespoons butter in saucepan over medium heat until slightly brown. Stir in 1 ½ cups powdered sugar, 2 tablespoons milk and 1 teaspoon vanilla until smooth and spreading consistency. Press crust mixture in bottom and 1 ½ inches up sides of 8 inch spring form pan. Bake crust 10 minutes; set on rack to cool. Drain pineapple well pressing out juice with back of spoon: RESERVE ¾ cup of juice. Cover the pineapple and refrigerate. Combine juice with pumpkin, sugar, eggs, spices and gelatin in medium saucepan. Cover pan and simmer gently for 30 minutes stirring occasionally. Beat cream cheese and vanilla in mixing bowl until light and fluffy. Gradually beat in the warm pumpkin mixture until well blended. Pour into prepared crust; cover and refrigerate overnight. Remove sides from pan; place on serving plate. Fold pineapple and marshmallows into whipped cream. Spoon whipped cream mixture on top of cheesecake and serve. TO MAKE CRUST combine flour and salt in medium bowl. 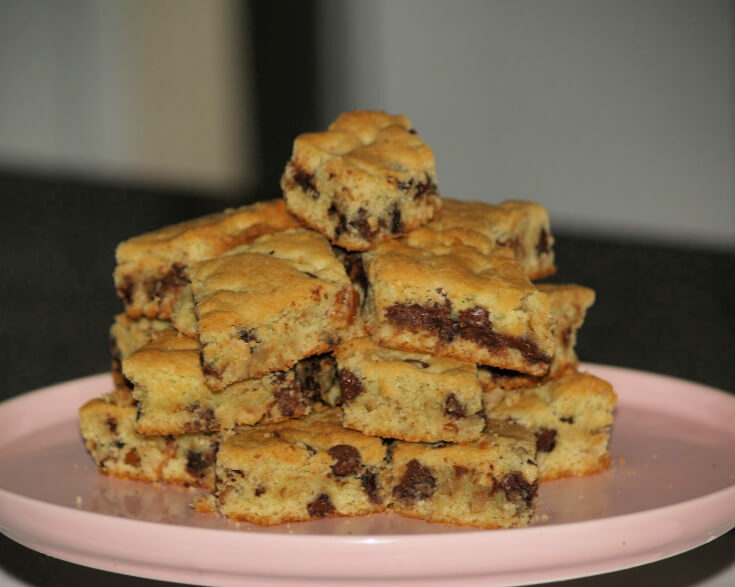 Cut in butter until crumbly; sprinkle water over top while tossing to blend. Press dough firmly into a ball; roll out on lightly floured surface to 12 inch circle. Fit loosely into 9 inch deep dish pie plate; trim and flute edge. Beat cream cheese in small bowl on medium speed until creamy. Gradually beat in ¼ CUP of corn syrup and vanilla until smooth; set aside. In medium bowl combine pumpkin, eggs, milk, ¼ cup corn syrup, sugar, spice and salt. Beat pumpkin mixture until smooth; pour into pie shell. Drop tablespoons of the cream cheese mixture onto the pumpkin filling. With a small knife swirl the mixture to give a marble effect. Bake 50 to 60 minutes until knife inserted in center comes out clean. Cool completely on wire rack; refrigerate until cold.